You’ve heard the market buzz about Containers but how can you best use them to make your software development more agile? What are the advantages and pitfalls and how do you get started? 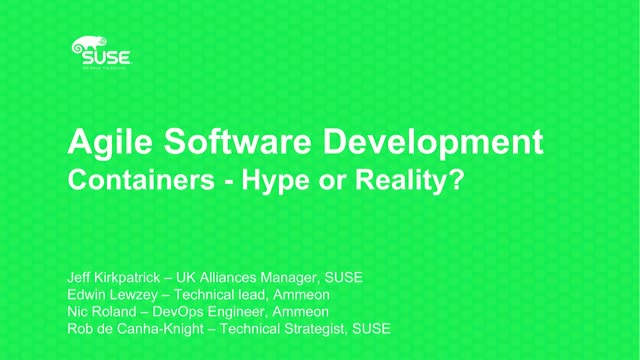 Join this SUSE webinar to understand why everyone’s talking containers.